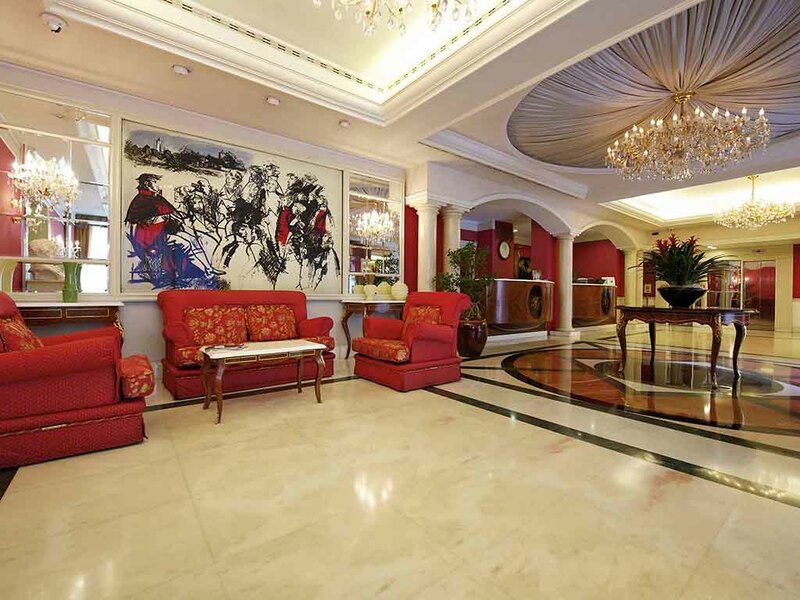 The 4-star Mercure Parma Stendhal is located in the heart of the old town, opposite the Palazzo della Pilotta and just 328 yds (300 m) from the station, and serves an extensive buffet breakfast. Rooms are furnished with wooden period furniture and have TV with cable channels and free WIFI. The hotel is 437 yds (400 m) from the cathedral, a 5-minute walk from the European Food Safety Authority headquarters and approx. 10 mins' drive from the airport. An onsite car park is available subject to availability. Parma, the former ducal capital, is not only rich in art and tourism, but also industry, business and conventions. Parma is now home to the EFSA headquarters and has taken up the role of capital of the Italian Food Valley. The Hotel Mercure Parma Stendhal boasts an exclusive location, just a few minutes from some of the city's main monuments, including the cathedral, the baptistery, the Steccata church and the Farnese theater. The neighborhood is also great for shopping! The 63 rooms combine comfort and elegance to guarantee guests have an enjoyable stay. Each room is equipped with minibar, telephone, TV, hair dryer, safe and WIFI. Great attention has been paid to the style of the furnishings, ranging from Baroque to Louis XV, from the Venetian Imperial to Maggiolini-inspired Lombardian neoclassical style, giving each room its own unique character. The bar is elegant and comfortable, in keeping with the style of the hotel, and is open daily from 10am to midnight. Our barman will delight guests with cocktails and long drinks served with tasty snacks.